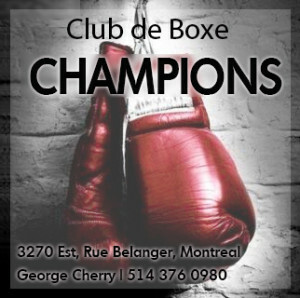 A few months ago we witnessed one of the more memorable heavyweight battles of recent years as alphabet titleholder and top-two contender Deontay Wilder faced off against the last man with a claim to the lineal heavyweight championship of the world, Tyson Fury. It was an exciting, sometimes sloppy, and highly dramatic match, which Fury, in the eyes of most, deserved to win as he flummoxed Wilder with his cartoonish, herky-jerky head movement and surprisingly nimble footwork. 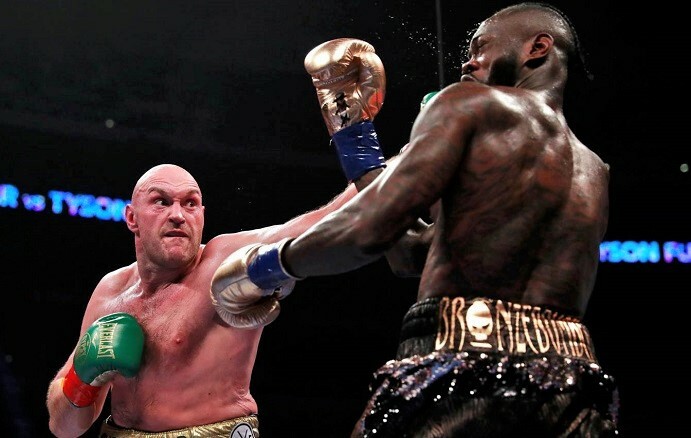 But despite Fury’s superiority in boxing skill, the match remained a taut and tense contest to the very end as Wilder scored a knockdown in round nine before “The Bronze Bomber” nearly decapitated “The Gypsy King” in the final three minutes, a stanza which was clearly 2018’s Round Of The Year. The draw verdict was a disappointment but it allowed the Brit to hold on to a claim he had been making, and continues to make in earnest since his return to boxing in mid-2018, namely that he is the holder of the lineal heavyweight championship of the world. It’s a claim I’ve seen parroted in the boxing media with increasing frequency as knowledgeable pundits refer to Tyson Fury as the “lineal champion.” And this is frustrating to me, because I have long been an enthusiastic advocate for recognizing lineal title-holders. 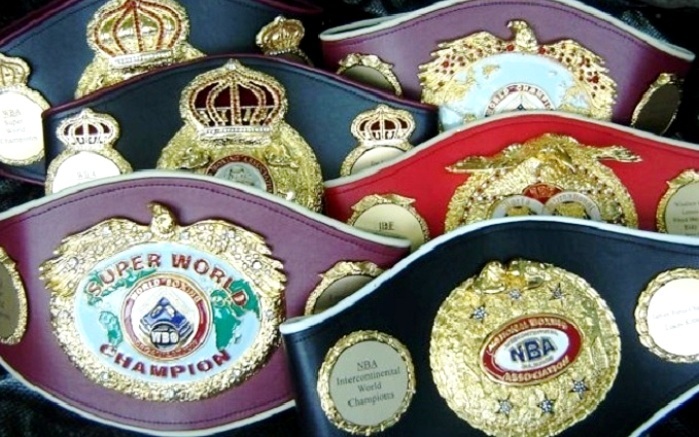 Boxing is flooded with so-called “world” titles. The idea of lineal titles being more legitimate than those handed out by sanctioning bodies has gained some traction of late, and perhaps that has something to do with the fact that significant numbers of fight fans embraced Fury’s lineal claim. Naturally it’s more satisfying to have an actual leader at the top of the division than just a bunch of contenders with belts circling an empty throne. But at the same time it’s important to make sure we get it right before we proclaim someone to be a lineal champ or we defeat the whole purpose. So, to be clear, Tyson Fury indeed was the lineal heavyweight champion. He gained that status with his upset win over Wladimir Klitschko in 2015. Klitschko, it should be mentioned, became the king of the heavyweights through attrition as much as from any single win. Depending on one’s preferences, Klitschko either picked up the lineal title from Ruslan Chagaev in 2009, or from Alexander Povetkin in 2013. Either way, it was universally agreed that “Dr. Steelhammer” had established himself as the true ruler of the division, the rightful heir to the throne that had been left vacant when Lennox Lewis retired in 2004. Fury was the legit king after he beat Wlad. So here’s the problem. In October of 2016, Tyson Fury surrendered his alphabet titles and his status as the true world heavyweight champion when he announced he was officially retiring. This decision was the outcome of a struggle with alcohol, drugs, and depression following his upset win over Klitschko. 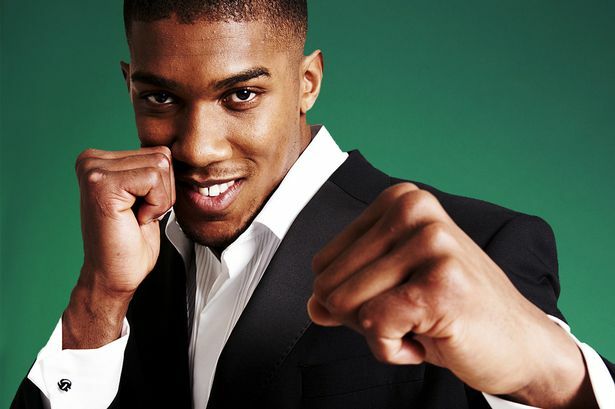 Some regard Anthony Joshua as the real champion. And then the confusion began. 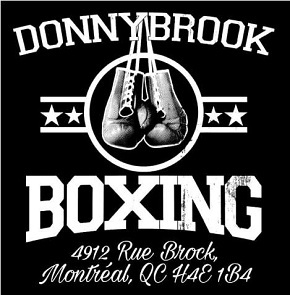 The two most respected arbiters of championship lineage quickly diverged; while the Transnational Boxing Rankings Board almost immediately declared their heavyweight championship vacant, The Ring took nearly a year to do the same. Fury stayed idle for some 30 months and in that time two big names made their way to the top of division, Deontay Wilder and Anthony Joshua. It can be argued that both have since eclipsed Fury in terms of their accomplishments during his absence. It’s generally agreed that there are only two ways to break a championship lineage. Retiring is the most obvious option. Beyond that, abdication through inactivity or a change of weight class would be the other. So for many it seemed obvious that, given Fury’s announcement, plus his absence from the ring, he had effectively surrendered his hold on the lineal heavyweight championship of the world. 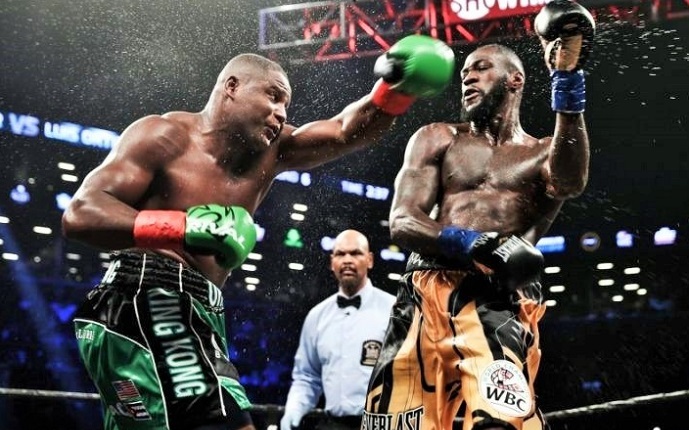 Wilder battles Ortiz: not a legit championship fight? 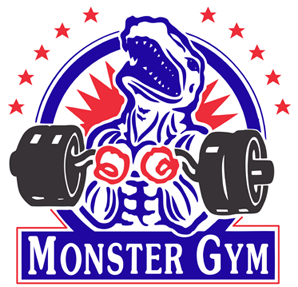 As a point of comparison, there have been a few significant gaps in activity rivaling or exceeding the length of Fury’s absence since John L. Sullivan, the first universally recognized lineal heavyweight champion. Jess Willard waited three and half years to make his second title defense, though he fought a number of exhibitions, and never formally relinquished his crown. 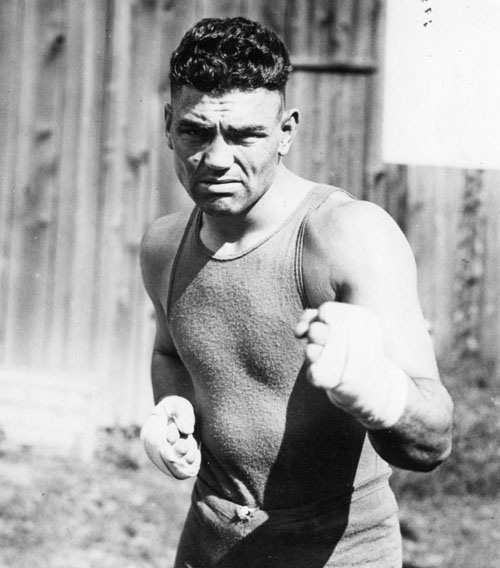 Similarly, Jack Dempsey had more than one long delay between championship fights with gaps of two years between his third and fourth defenses and his fifth and sixth defenses. During those periods, he didn’t retire or announce an extended break from the sport, and he certainly didn’t relinquish his title. Two years elapsed between Jim Braddock’s title victory over Max Baer and his knockout loss to Joe Louis in 1937. He had in fact scheduled a title defense against former champion Max Schmeling roughly a year later, but he was forced to cancel the match due to a hand injury. But while “The Cinderella Man” may not have been an active champion, he didn’t give up his title or retire. Jack Dempsey enjoyed long vacations. In 1967, Muhammad Ali made his ninth world title defense before refusing to be drafted by the U.S. army. His boxing licenses were suspended, and he would not compete for three-and-a-half years. He was still regarded as lineal champion with many recognizing him as such until February 1, 1970, when he officially announced he would drop his claim to allow the winner of the match between Joe Frazier and Jimmy Ellis to be crowned the new king. Ali would regain the title a few years later from George Foreman, and then lose it in a huge upset defeat to Leon Spinks. Ali then won the rematch and soon after retired and in the months that followed Larry Holmes, John Tate and Mike Weaver held versions of the world title with the lineal championship in limbo until October 2, 1980. On that day, Ali came out of retirement long enough to suffer a ten round beating at the hands of Holmes. It was a sad day for many, but it served to establish Holmes as the true king, especially as he held a stoppage win over rival title-holder Weaver. 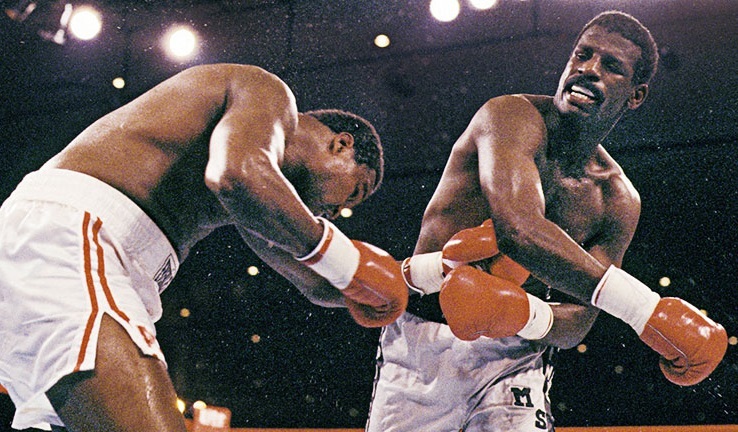 Holmes vs Spinks: for the lineal championship. Michael Spinks would defeat Holmes in 1985 and then hold the lineal title for two years and nine months, losing it via frightening first round demolition to Mike Tyson. Eventually, Evander Holyfield would seize the true crown after knocking out James “Buster” Douglas, who had defeated Tyson, before it was passed on to Michael Moorer and then, in a shocking one-punch KO, to a 45-year-old George Foreman. Foreman then lost to Shannon Briggs, who then lost to Lennox Lewis, and then we had the aforementioned gap from Lewis’ retirement to that point when Wladimir Klitschko gained universal recognition. But even then, the vast majority of those who followed the sport considered Klitschko the defacto champion from about 2006 on, so the lineal status was largely for the super-nerds who cared about continuity and a proper lineage. Now it seems the lineal title isn’t just for nerds anymore. I no longer find myself debating on boxing forums why Zsolt Erdei is the real light heavyweight champion instead of Antonio Tarver, Glen Johnson or Bernard Hopkins. Tyson Fury may not be number one in most rankings, but boxing media has been happy to call him the lineal king of the big men. Ali stepped aside so Joe Frazier could become the lineal king. I want to be happy about this. While the alphabet baubles aren’t going anywhere, it appears there’s more attention given to the legit champion in each division. But in the case of the heavyweights, it seems many are overlooking the fact that Tyson Fury quit his job as heavyweight champion. He dropped his titles and formally opened up the path for others to take his place. He did what Muhammad Ali did in 1970. 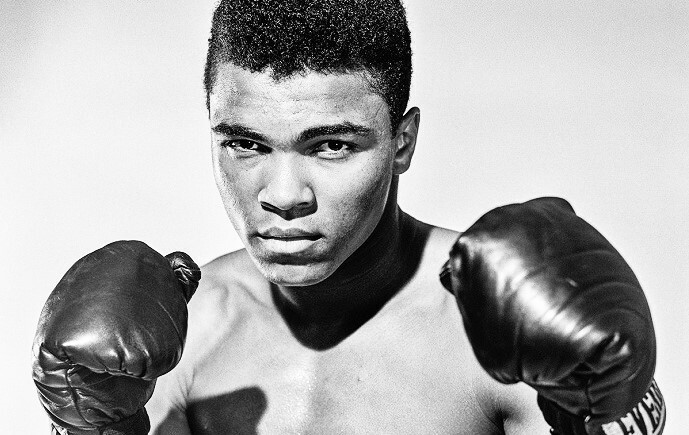 Ali was hoping to return but he didn’t know when that would happen, and he didn’t want to hold the heavyweight title hostage as he and his lawyers argued his case in various courtrooms. Of course Ali would eventually return and then win back his crown, and Tyson Fury may follow in his footsteps, but he hasn’t yet. 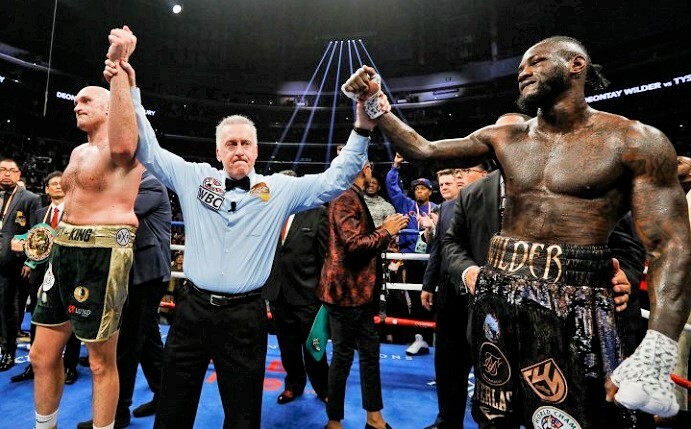 And even if we agree that the draw verdict at the end of Wilder vs Fury was unjust, the fact remains that the match by itself did not represent a battle for the lineal title. I understand that a vacant crown is distinctly unsatisfying and being able to point to Tyson Fury as the true king of the heavyweights would solve a lot of problems. But when it comes to lineal championships, there can be no shortcuts. At this point, nothing less than a round-robin involving Fury, Wilder and Joshua is needed to determine who the rightful ruler is. It’s not what most want to hear, but it is the truth. Unfortunately, a Fury vs Wilder rematch isn’t happening any time soon. That said, recent developments may make such an outcome increasingly unlikely. Tyson Fury has announced a new deal where he will be co-promoted by Top Rank, with his fights to be aired on ESPN. The problem is that Showtime had already claimed the rights to a rematch between Fury and Wilder and now that fight is off. Meanwhile, Wilder has signed to face Dominic Breazeale in May, and Joshua will take on Jarrell Miller in June so Fury will no doubt lean more heavily on his lineal claim as a way to keep himself relevant until he can get another shot at one of the top guys. This will reinforce the narrative of his lineal status, but the simple truth remains: he cannot rewrite history. He cannot take back what he did and said in October of 2016. Like it or not, as of right now, the lineal championship of the world is up for grabs. 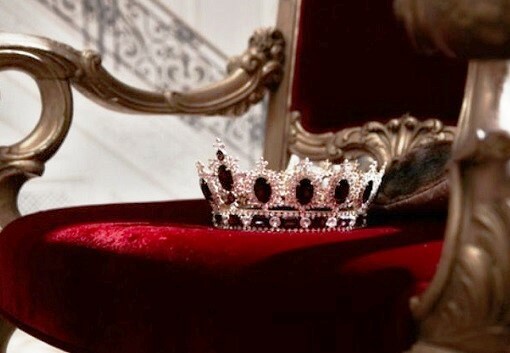 The hallowed throne of the heavyweight king is empty.